Whether you are not familiar with balsamic vinegar, or absolutely love it and always have a bottle on hand, it shouldn't be shocking that the quality matters. The best balsamic vinegar for you falls somewhere between the highest quality available, and your budget. But, first, you need to know more about this flavor powerhouse. One of my favorite things to do is make a great salad. When I make a salad, I am not just throwing some lettuce and tomatoes together, but I mix five different chopped vegetables with extra ingredients, such as pickles, almonds, feta cheese, and raisins. I learned how to make great salads when I got married nine years ago, and it has become a fun and delicious habit. The one ingredient that is so essential to a good salad is the dressing. Over the years I have learned how to make an easy homemade dressing that consists of four ingredients: dijon mustard, maple syrup, olive oil, and balsamic vinegar. The key ingredient for this dressing is balsamic vinegar because it gives the dressing the sweet and tangy bite that it needs to have the most flavor. When I choose ingredients for my recipes, I always choose ones with a lot of flavor and quality. Balsamic vinegar naturally fits this description. Once a favorite among emperors in the 11th century, it is now available to everyone and a favorite choice in many households. 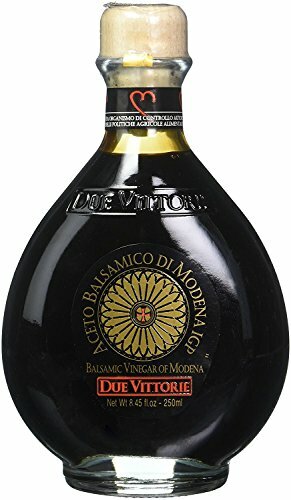 Since it already has a reputation of high quality, the best balsamic vinegar must stand out from the rest. Some of the qualities the best balsamic vinegar has are excellent flavor, great reviews, and versatility. Balsamic vinegar originated in Italy in the 11th century and is a popular ingredient in salad dressings, marinades, and other recipes. Unlike wine vinegar, it doesn't come from wine but from grapes. There are two types of balsamic vinegar: the expensive version and the commercial version. The only ingredient in the expensive version is grape must. The grapes are boiled and allowed to age in wooden kegs for a minimum of 12 years. However, the commercial version has four ingredients: grape juice, vinegar, caramel, and sugar. Furthermore, the expensive version only originates from Modena and Reggio, Italy, and a 3-ounce bottle runs $$$ to $$$ depending on age. Finally, it always has a label titled "Aceto Balsamico Tradizionale" and carries a DOP ("Denominazione di Origine Protetta") stamp, which is a European Union certification that guarantees an ingredient's quality, production, and place of origin. In contrast, the commercial version costs much less and is more readily available worldwide. Lastly, both types of balsamic vinegar have a deep brown color and sweet, fruity flavor. What Are The Benefits Of Balsamic Vinegar? Balsamic vinegar has many health and beauty benefits. The benefits include improving complexion, reducing blood sugar, better digestion, lowering cholesterol, and losing weight. Also, balsamic vinegar treats wounds, seasons meat, and deglazes pans. Lastly, it is safe to add to a healthy diet because it is low in sugar, has very few calories, and is fat-free. How Does Balsamic Vinegar Work? The ingredients in balsamic vinegar are what makes it work. It has acetic acid, antimicrobial compounds, and antioxidants. These ingredients promote the health and beauty benefits of the vinegar. Furthermore, the grapes that balsamic vinegar contains may help prevent cardiac disease by preventing platelets from building up in blood vessels. Lastly, the vinegar contains polyphenols, which may reduce the risk of type-2 diabetes. Where Can I Buy The Best Balsamic Vinegar? You can buy balsamic vinegar in grocery stores and online retailers. Supermarkets often focus on selling their store brand of balsamic vinegar, whereas online retailers will often have a variety of balsamic vinegar at a reasonable price. Lastly, you will find the best balsamic vinegar more often through online retailers. How Much Does Balsamic Vinegar Cost? Balsamic vinegar costs anywhere from $ to $$$ per bottle. The price depends on many variables, including size, quality, and age. Most balsamic vinegar will be less than $$$ a bottle. However, the very expensive balsamic vinegar ages up to 25 years and has a DOP certification. Lastly, the best balsamic vinegar will not always be more expensive than other balsamic vinegar. We looked at reviews and ratings on sites such as Amazon and eBay. To make the list of the best balsamic vinegar, we looked at best-seller status, ratings, and reviews. Balsamic vinegar ranges in price from $ for a 16.9-ounce bottle to $$ for an 8.5-ounce bottle. The price depends on many factors, including quality, ingredients, DOP certification, and age. 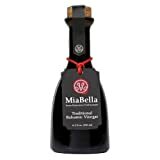 The best balsamic vinegar will sometimes have prices competitive with other balsamic vinegar because it is readily available and demand exists for it. Here is the list of the top 10 brands of the best balsamic vinegar, in no particular order. The list is based on the top sellers, the highest rated vinegar, and lists both the expensive and commercial versions. 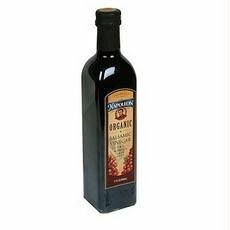 This Balsamic vinegar is on the "Amazon's choice" list and has 4.1 out of 5 stars on Amazon. It is a commercial version. Customers said that it has a smooth texture and rich, bold flavor. However, some customers said that the texture is too watery and not similar to a quality balsamic vinegar. It ranges in price from $ to $ for a 16.9-ounce bottle. You can find it on Amazon, eBay, and other online retailers. 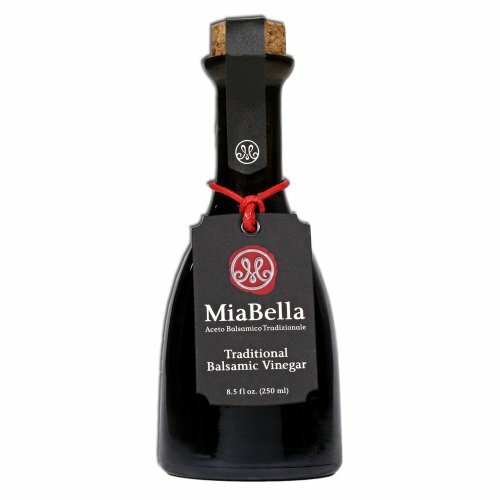 The Miabella Balsamic vinegar is the expensive version. Certified as produced in and protected by the Modena region of Italy, it contains 100 percent grapes from certified organic agriculture. Furthermore, it is on Amazon's choice list and has 4.4 out of 5 stars on Amazon. Customers said that it has a perfect flavor and sweet yet tangy finish. They also said that it is the best balsamic vinegar they've ever tasted. However, some customers said that the vinegar smell is too strong, and the "DOP certified" stamp is not on the bottle, which makes them skeptical as to whether or not the vinegar is truly a DOP certified product. It ranges in price from $$ for a 4.7-ounce bottle to $$ for an 8.5-ounce bottle. You can find it on miabella.com, Amazon, eBay, and other online retailers. This flavored vinegar is organic and made by the Mantova family, who has been making flavored oils and vinegar for over 30 years. It comes in four flavors: raspberry, fig, pomegranate, and pear. It is a commercial version. Furthermore, it has 4.0 out of 5 stars on Amazon. Just like the previous vinegar, it is on Amazon's choice list. Customers say that the flavors have a sweet, fruity taste, and it has no added sugar. However, some customers said that the vinegar is too watery and tastes too much like vinegar, as opposed to having the taste of authentic balsamic vinegar. The vinegar ranges in price from $$ to $$ for a 4 pack of 8.5-ounce bottles. You can find it at fineitalianfood.com, Amazon, eBay, and other online retailers. 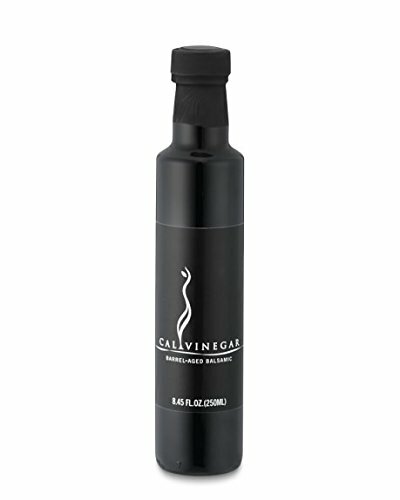 This balsamic vinegar has a lot of similarities to an expensive version, but it is a commercial version. From Modena, Italy, ages for 12 years, and each bottle is heat sealed at the time of shipment to preserve its quality and freshness. It is not an expensive version because it doesn't have a DOP certification. The vinegar has 4.4 out of 5 stars on Amazon, and just like the previous vinegar, it is on Amazon's choice list. Customers said that it is a respectable alternative to the expensive types of balsamic vinegar, and is sweet and smooth. However, some customers said that it has too much acidity, and has low quality. The vinegar ranges in price from $ to $$ for a 250ml bottle. You can find it on aristonspecialties.com, Amazon, eBay, and other online retailers. If you're looking for a quality balsamic vinegar that is the expensive version but at a reasonable price, this is it. This vinegar is the number one selling vinegar in Italy and was featured on the show "Master Chef" for three seasons. Furthermore, it has no added flavors, colorants, or preservatives. It has 4.6 out of 5 stars on Amazon and is the number one new release of balsamic vinegar on Amazon. Customers say that it is a very authentically Italian balsamic vinegar, it has a rich taste, and syrupy texture. However, some customers said that it has a very strong burnt caramel aftertaste and is too acidic. It ranges in price from $$ to $$ for a 250-milliliter bottle. You can find it on supermarketitaly.com, jet.com, Amazon, eBay, and other online retailers. This vinegar is very similar to the expensive version but doesn't have a DOP certification. It is made in Italy, barrel-aged, and crafted by the Coldani family in Lodi, California, before being distributed to the marketplace. It has 4.6 out of 5 stars on Amazon and is on Amazon's choice list. Customers say that it has a rich and decadent taste, thick texture, and is a high-quality balsamic vinegar. However, some customers said that it tastes too sweet. The vinegar ranges in price from $$ to $$ for an 8.45-ounce bottle. You can find it on williams-sonoma.com, Amazon, eBay, and other online retailers. The Villa Monodori, just like the Calivirgin and Ariston Traditional, is similar to the expensive version but doesn't have a DOP certification. Aged in various wood barrels, it has a dark color and rich aroma. Massimo Bottura, Chef Patron of the three-Michelin star restaurant Osteria Francescana, is the labor of love behind this balsamic vinegar. It has 4.8 out of 5 stars on Amazon and is on Amazon's choice list. Customers say that it has a sweet flavor with a touch of acidity, and has a moderate thickness. Furthermore, customers said that it has such great quality that only a small amount needs to be added to food to give it flavor. However, some customers said that they didn't like it because it tasted like prune juice. The vinegar ranges in price from $$ to $$ for a 250ml bottle. You can find it on supermarketitaly.com, williams-sonoma.com, Amazon, and other online retailers. 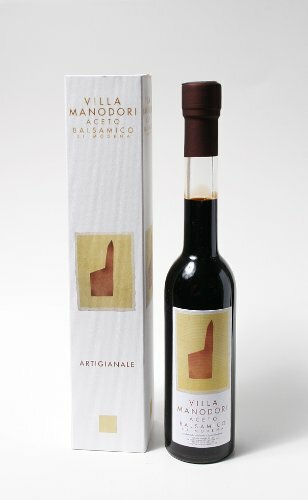 This Modenaceti is a standard commercial version balsamic vinegar. It has 3.9 out of 5 stars on Amazon. Customers said that it has a sweet, smooth, and fruity taste, and comes in a manageable size bottle. However, some customers said that after having it for a short time, the vinegar "went bad," or congealed and grew mold. The vinegar ranges in price from $ to $$ for a 16.9 ounce bottle. You can find it on Amazon, eBay, www.organikthings.com, and other online retailers. This commercial version balsamic vinegar is an aged fig vinegar that contains natural ingredients. Furthermore, it is organic and gluten-free. Also, it has the highest rating on Amazon, coming in at 4.9 out of 5 stars. Just like most of the previous vinegar on the list, it is on Amazon's choice list. Customers said that it has a smooth taste and transforms any salad with a light fig sweetness. However, some customers reported that no ingredients or nutritional information are on the bottle. The vinegar ranges in price from $$ to $$ for a 250-milliliter bottle. You can find it on Amazon, rockymountaincreek.com, and other online retailers. This commercial version vinegar comes in a 5-liter bottle, contains 35 percent grape must, and is GMO-Free certified. Also, it comes in at 4.2 out of 5 stars on Amazon. 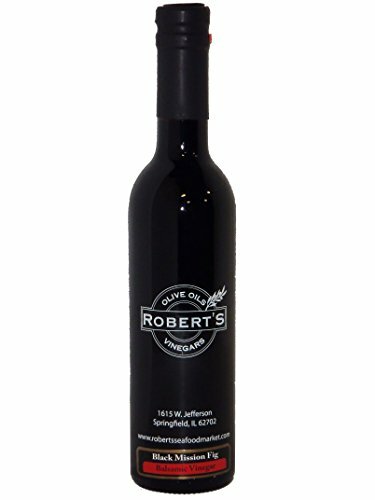 Customers said that it is delicious, an excellent value for the quality and the 5-liter bottle lasts longer than a standard size balsamic vinegar bottle. However, some customers said that it tastes more like apple cider vinegar with balsamic vinegar added to it. The vinegar ranges in price from $$ to $$ for a 5-liter bottle. You can find it on Amazon, eBay, and other online retailers. We picked the Due Vittorie Oro Gold Balsamic Vinegar of Modena as the best balsamic vinegar because it is a high-quality balsamic vinegar with great reviews and an excellent price. Also, as an expensive version, it costs less than some commercial version vinegar. When it comes to picking the best balsamic vinegar, it is important to remember quality, flavor, versatility, and reviews. Furthermore, don't let a low-cost balsamic vinegar keep you from purchasing it. Even if it is inexpensive, it might be the best balsamic vinegar that you're looking for. Tell us your favorite balsamic vinegar in the comments.